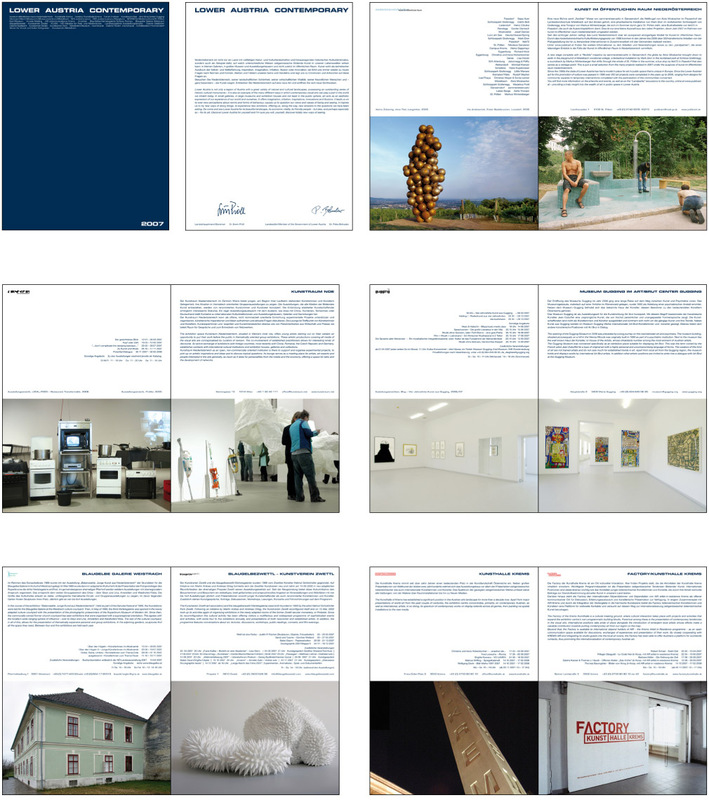 The first program folder for ‘Lower Austria Contemporary’ in 2007 shall be the first of a yearly ongoing series.It is the presentation of the institutions under the new umbrella institution ‘Lower Austria Contemporary’. 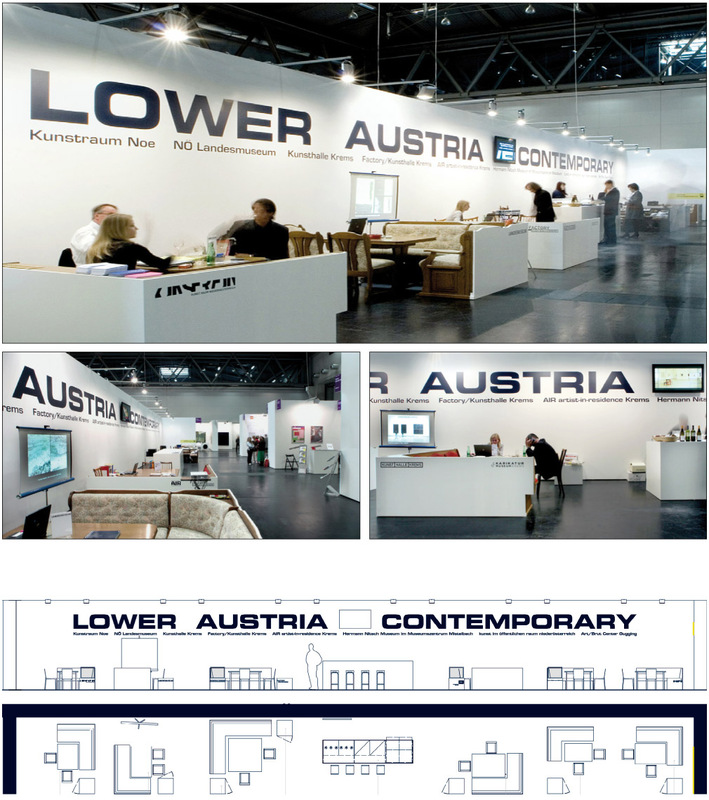 Together with be.we.m - architects we developed the graphic appearance for ‘Lower Austria contemporary’. The main eight Institutions participated at the art fair.